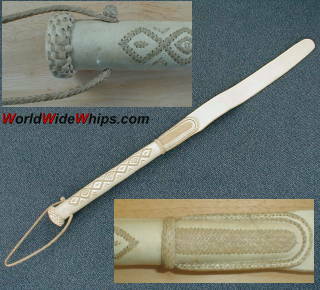 Another Argentine riding whip, made of whitehide with decorations of fine rawhide strands. Not sure if this is a working whip or only decorational. Condition is nearly mint.